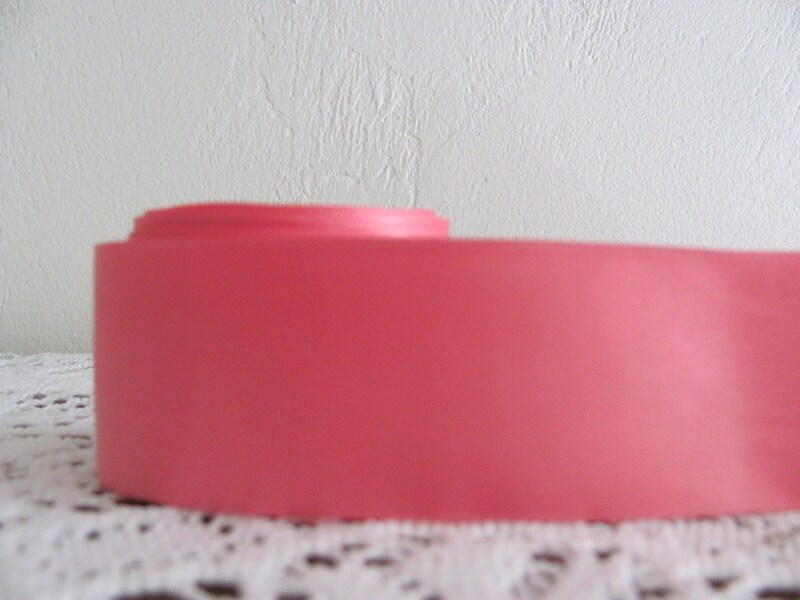 Coral rose double faced satin ribbon is 1.5 inches wide. Sold by the yard. Ideal for wrapping bridal bouquet handles, adding to brim of a hat, crafting and wrapping gift boxes.